The big picture: How does the session fit into the scheme of work/main topic? What knowledge are learners coming to the session with already? What links have you made/can you make? Describe the lesson in 30 seconds! Objectives: The objectives for the current session. The arrow is just a visual reminder that the session is building on what’s gone before. Try to incorporate at least 2 different leveled objectives – perhaps allowing learners to choose their own. Engagement: What’s the hook? How will you gain learners’ attention at the start and throughout the session in ways that are exciting and meaningful (without the you having to work too hard!)? ‘Stickability’: What will stick in learners’ minds as they leave the session? What key point(s) should they remember and bring back to the next session? AfL: How will you assess where your learners are at during the lesson, so as to know how to take them where you want to go? What Assessment for Learning (AfL) strategies are you going to use? What key questions will help you to lure learners into learning? Plan for various AfL strategies to allow learners to see progress. Use a Targeted-Question grid to help frame higher-order questions. Where possible, use the Pose Pause Pounce Bounce AfL strategy to stimulate discussion and incorporate stretch and challenge. Keywords/Numeracy: Literacy has never had such a high-profile as it has at the moment. Encourage learners to read aloud. Pick out keywords and extrapolate their meanings. Plan what keywords you want learners to learn. This promotes high levels of literacy which is an Ofsted focus. You should also add numeracy to this section. Every session should involve some mathematical content, where applicable. Differentiation/Groupings: Plan what activities you will provide for gifted and talented students (G&T); learners with SEN (Special Educational Needs) and EAL (English as an additional language). How will you embed Equality and Diversity (E&D)? What sort of groupings are needed? What are they doing and when? Is this mapped to a seating plan with current levels of progress? 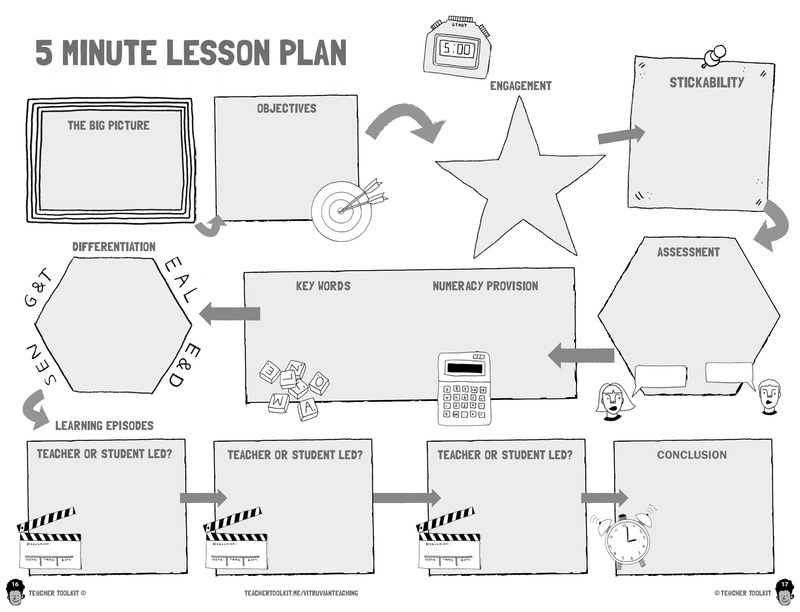 Learning activities: What is going to happen in the session from start to finish? Identify as many opportunities for learner-led learning as possible. The four boxes on the template do NOT denote a four-part lesson. Just use as many as required to show what needs to happen. Session planning is not just a box-filing exercise, and the sections do not have to be completed in the order that they are presented on the template. Every box should have some content, even if only to show that a particular aspect of teaching and learning is ‘N/A’; This indicates that every aspect of teaching, learning and assessment has been considered. The following video shows how Dulwich College identifies strategies for AfL and differentiation after outlining each learning activity. Remember that the end of a training session is just as important as the start, so learners should not simply pack up and drift out of the room. This is an opportunity to reinforce ‘stickability’ and set expectations for the next session. Ofsted have updated all of their inspection handbooks for September 2015. The one that is most applicable to us is the Further Education and Skills Handbook, which covers the provision of apprenticeships. The outstanding criteria are not restricted to classroom teaching. The apprentices’ attitudes, behaviours and employability skills are also under scrutiny, which means that professional development training, ILP meetings, SMART target-setting, social mixing, and the extent of social action are just as important. Ultimately, Ofsted inspectors judge the quality of teaching (however it is delivered), and assessing by the impact on learning, and not by the impressiveness of available resources, nor how many activities a tutor can cram into a single session. Providers must carefully consider how to measure and record the impact on learning, which will have implications from a compliance perspective. Staff promote, where appropriate, English, mathematics, ICT and employability skills exceptionally well and ensure that learners are well-equipped with the necessary skills to progress to their next steps. The personal and social development of learners equips them to be thoughtful, caring and active citizens. This should manifest itself in the form of apprentices who are aware and able to articulate their knowledge and understanding clearly, and convincingly demonstrate the skills they have acquired. In other words, they should be able to distinguish between what they have done and what they have learned. The unabridged version of The Further Education and Skills Inspection Handbook is available here. Today marks the first of our training team’s CPD 15-minute forums, known as ‘Momentum Monday’. Every Monday at 9:15, one of our tutors or assessors will share a successful teaching strategy/resource for 5-10 minutes. Then the other members of the training team will discuss ways to implement this in their own subject areas, or share similar approaches which they have also used successfully. I thought I would get things underway with a forum about the extent to which our revamped session plan could contribute towards effective teaching and learning. A comprehensively designed training session evidenced by a completed session plan, does not automatically result in an outstanding experience for the learners. The session plan is useful for the tutor delivering the session, and also for any potential observer, but it is merely an indicator of what might happen during the session. Anyone who has taught will know that even the most carefully constructed session plan is prone to slippage in terms of timings and/or the proposed content. A written plan is not an end product in itself, but one of the stages in the overall process of delivering high quality teaching and learning. Also, the relationship between successive training sessions is just as important as each individual session. Our session plan is particularly helpful in supporting us to deliver appropriate learning outcomes because it requires tutors to consider areas which might otherwise have been overlooked, such as opportunities to promote equality and diversity, employability skills developed during the session and links to career progression. Tutors focusing on what learners will be doing rather than what they will be learning. 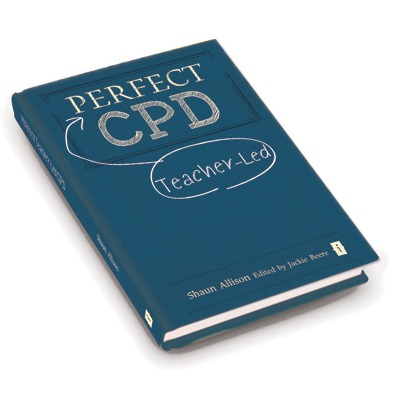 Our training team is currently gearing up for the start of the next teaching year, so the CPD focus for September 2015 will be various aspects of planning (and ultimately delivering) outstanding training sessions.